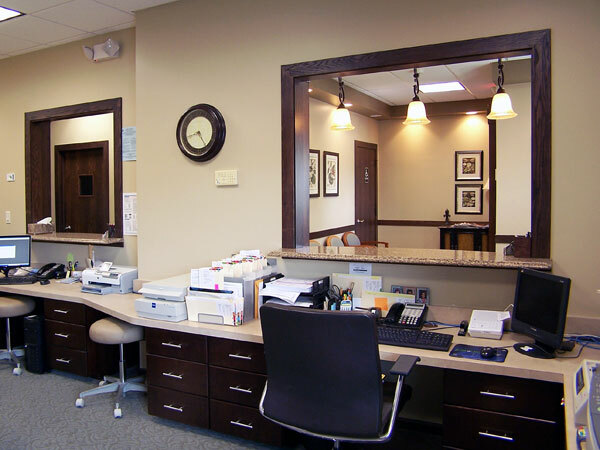 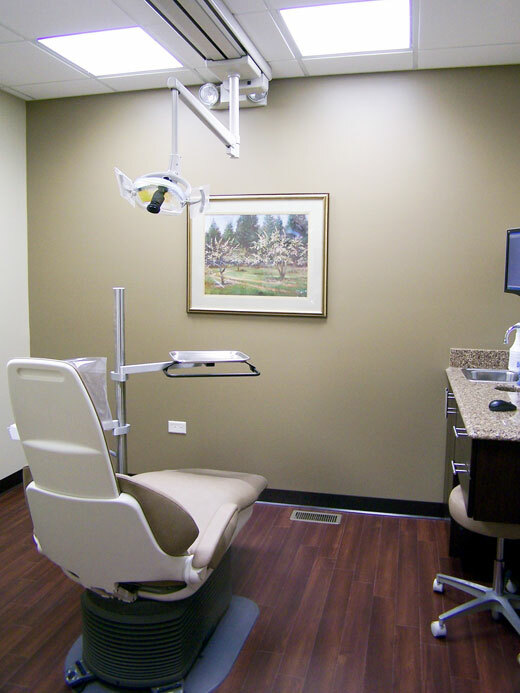 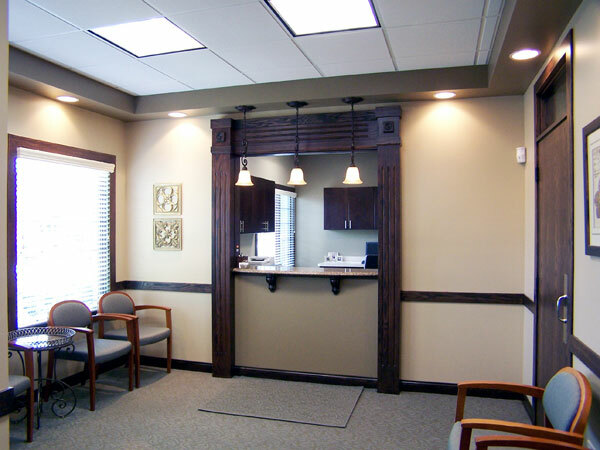 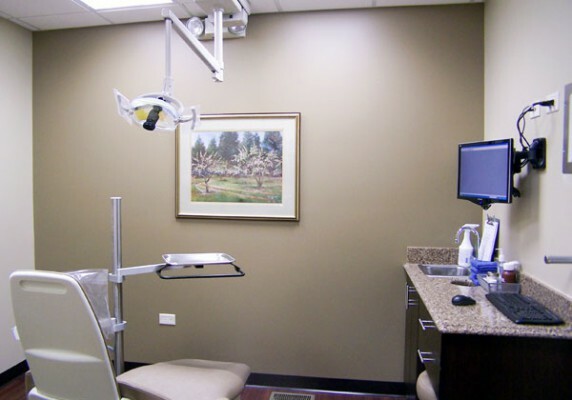 Robert Juris & Associates was hired to convert an existing office build-out into a new oral surgery center. Our client was looking for a sophisticated feel with a use of dark woods and earth tones. 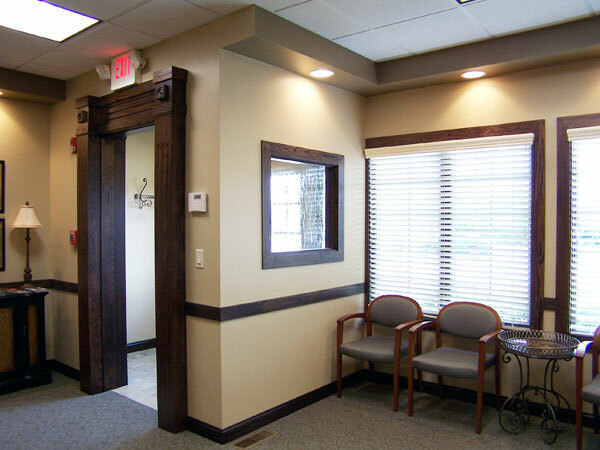 We designed the space to have extra trim work with heavy detailing around the entrance doorway and reception counter to give them the look they were going for. 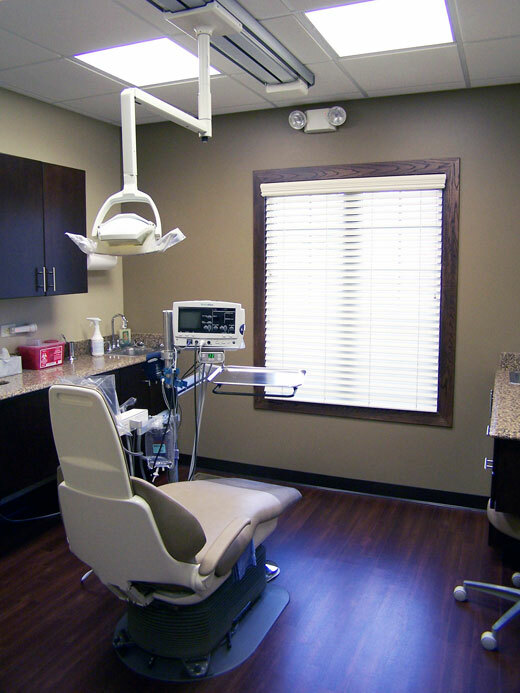 The new space consists of a reception area, multiple treatment rooms, recovery areas, x-ray, mini-lab, work area, office, and break room.